Timing is critical when harvesting Sauvignon Blanc: too long on the vine under the balmy Marlborough sun and fresh fruit flavours and bright acidity fall flat. 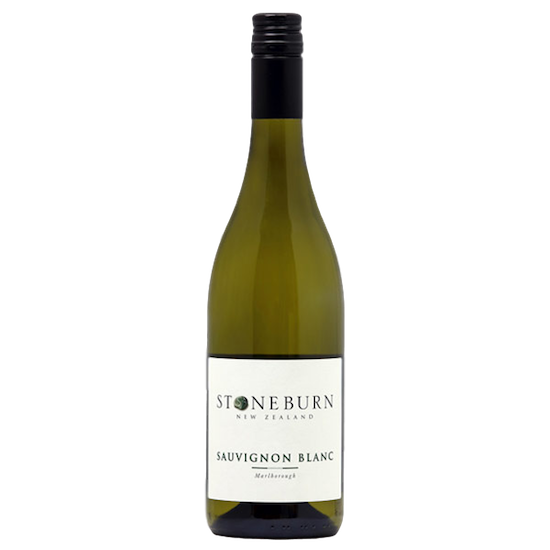 The fruit for Stoneburn’s wines is harvested from vineyards in the Wairau Valley in the cool of the very early morning when a chill still hangs in the air. The grapes are de-stemmed, crushed, and lightly pressed as quickly as possible, and great care is taken to minimize handling. The juice is cold-settled and racked, then fermented by vineyard parcel in cool stainless steel tanks for nearly one month. Every process is linked to retaining flavour, vibrancy, and aroma. The result is a lush, refreshing wine. Intense aromas of tropical fruit are balanced by fresh, herbaceous notes. The palate is well-structured and crisp with great acidity. This is classic Marlborough Sauvignon Blanc from the nose through the long finish.